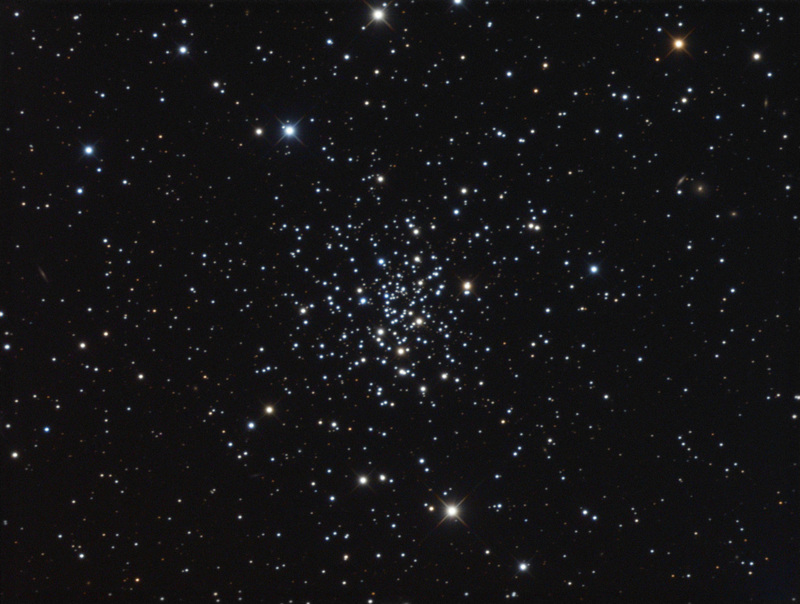 NGC 2420 (Collinder 154, Melotte 69 and others) is a Trumpler class I 2 r open cluster located approximately 8,100 light-years away in Gemini. Imaged February 11th, 2019 from Dark Sky New Mexico at Rancho Hidalgo (Animas, New Mexico) with a SBIG STF-8300M on an Astro-Tech AT12RCT at f/8 2432mm. See the link above because the attached image has been down-sampled. Great image of a very nice visual object! Nice job Dan, so crisp and natural looking. Those dark skies really help.